Very rare, original 1967 427/435hp Corvette coupe in factory Tuxedo Black with black leather, Factory-original 435hp engine and 4-speed close-ratio transmission, factory-original side exhaust-equipped, plus many other original options, such as 3.70 posi-traction, transistor ignition, tinted glass, power windows, AM/FM radio, non-DOT 7.75×15 red line tires and upgraded with factory-original N89 bolt-on wheels. Sold new in California and comes complete with the factory-original A.I.R. system. One of the most well-preserved, low-mileage, unrestored ’67 435 coupes in existence. Original drivetrain, original Window Sticker, original Tank Sheet, original interior and original paint. 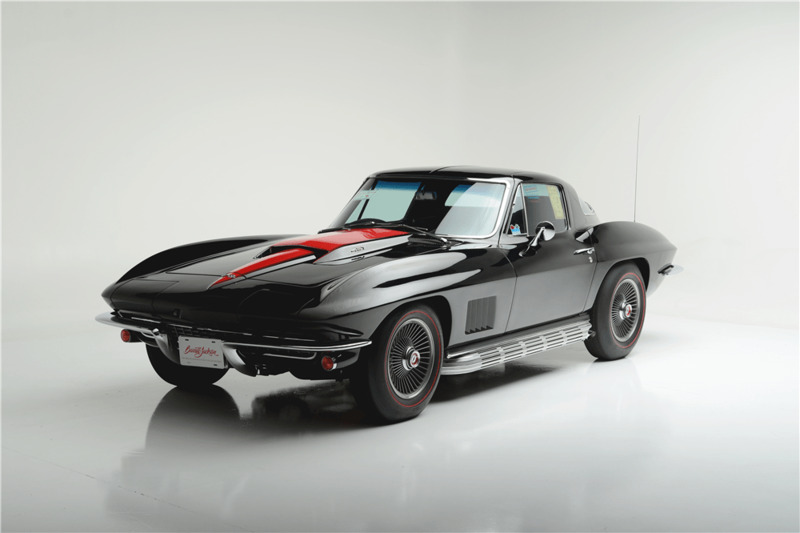 This is a truly rare one: less than a handful of documented real ’67 435s were produced in Tuxedo black with black leather interior, and the car has its original GM issued Trim Tag validating the color combination, along with its original Window Sticker and Corvette Order Copy (Tank Sheet). Equipped as built by GM with the options GM included in its build, except for the N89 wheel update. This car is Bloomington Gold Certified and the recipient of multiple NCRS Regional Top Flight awards, with a score of 99.2 percent. 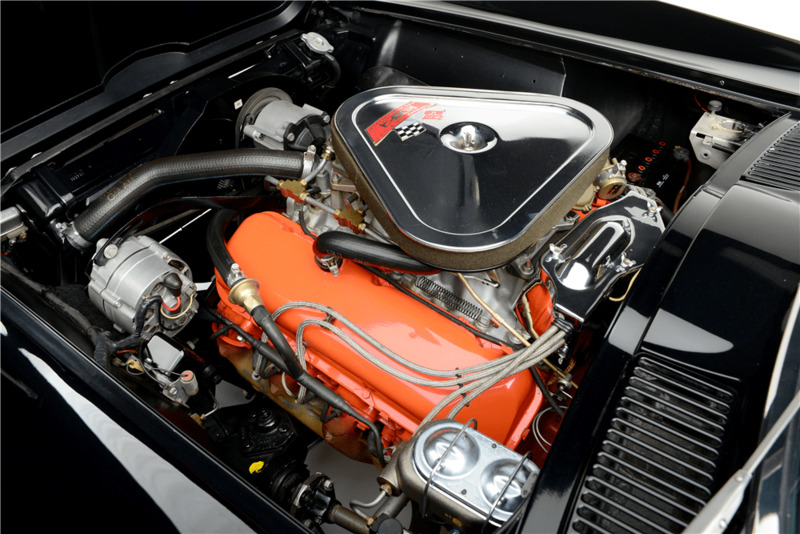 Original GM Trim Tag and VIN plate, multiple pieces of factory documentation supporting its build, judged by the two best organizations recognized for evaluation of originality and condition, and never scoring less than 99.2 percent.